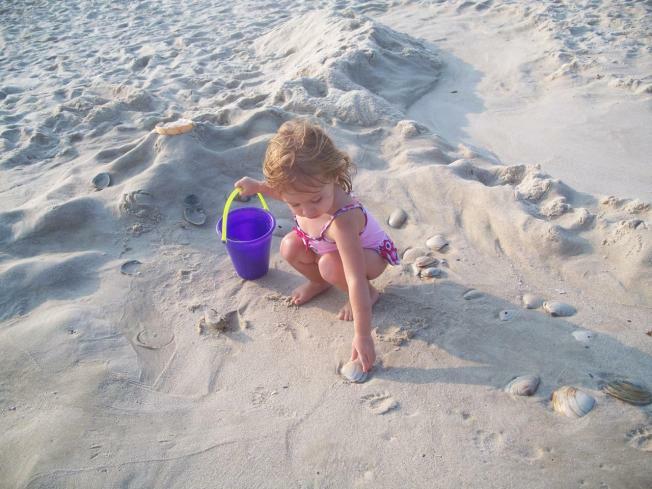 A little girl gathering seashells. The Schwarzenegger administration has backed off its threat to close dozens of California state parks by saying it has found other ways to save money. Among the sites that were threatened to be closed to visitors: Torrey Pines State Beach, Torrey Pines State Reserve, Silver Strand State Beach, Anza-Borrego Desert State Park, Carlsbad State Beach, Palomar Mountain State Park, Cuyamaca Rancho State Park, San Pasqual Battlefield State Historic Park. The new plan announced by the governor's office Friday calls for saving $12.1 million by reducing maintenance and halting purchases of vehicles and other equipment.